Sound Medical Weight Loss in Kirkland, Washington now offers revolutionary non-invasive SculpSure® laser body contouring treatments for permanent fat removal. 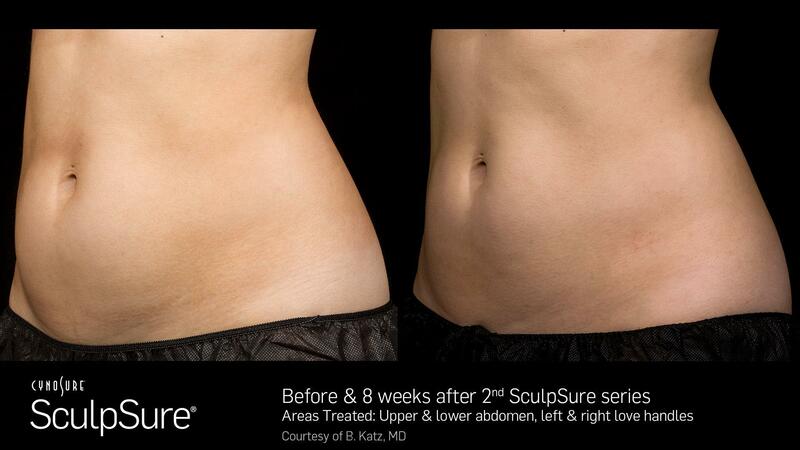 If you want to tighten and tone your body and really see the results of your work, call or schedule a consultation online today to find out if SculpSure is right for you. SculpSure is a non-invasive body contouring system for the reduction of stubborn fat in areas such as the belly, love handles, back, inner and outer thighs, and under the chin. Each 25-minute procedure can destroy up to 24% of treated fat cells without surgery and no down time! SculpSure is ideal for those trouble spots and bulges that seem resistant to diet and exercise, such as the belly, love handles, back, inner and outer thighs, and under the chin. Every patient is unique. Your provider will evaluate your body during your consultation, and develop a customized treatment plan to meet your desired goals. We recommend a minimum of two treatments per area for visible results. Ask your provider about a treatment plan that is right for you. Most patients feel a tingling and deep heating sensation intermittently throughout the treatment which is generally well-tolerated. Once the treatment is complete you may experience mild tenderness or redness, but you will be able to resume your usual activities immediately. Patients may start to see results as early as 6 weeks following treatment as the body gradaully eliminates the destroyed fat cells. Optimal results are typically seen at 12 weeks with 2 treatments. Treated fat cells are destroyed during the treatment and will not regenerate. However, if you gain weight, the remaining fat cells may enlarge. 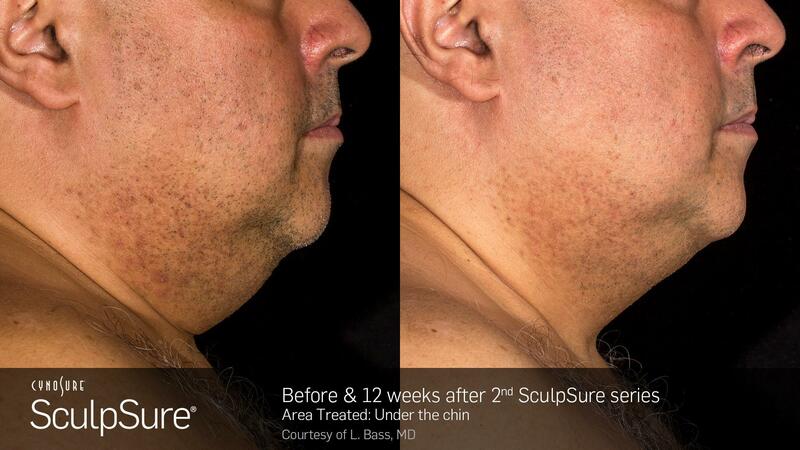 There is no downtime with SculpSure, so you can have the treatment during your lunch hour and return to work immediately. In fact, mild exercise is recommended after the treatment to improve the lymphatic circulation. The number of fat cells stored in our bodies typically remain constant throughout adult life. As we lose weight, the size of fat cells become smaller, but do not decrease in number. Even with diet and exercise, many people have difficulty losing weight in these trouble areas. 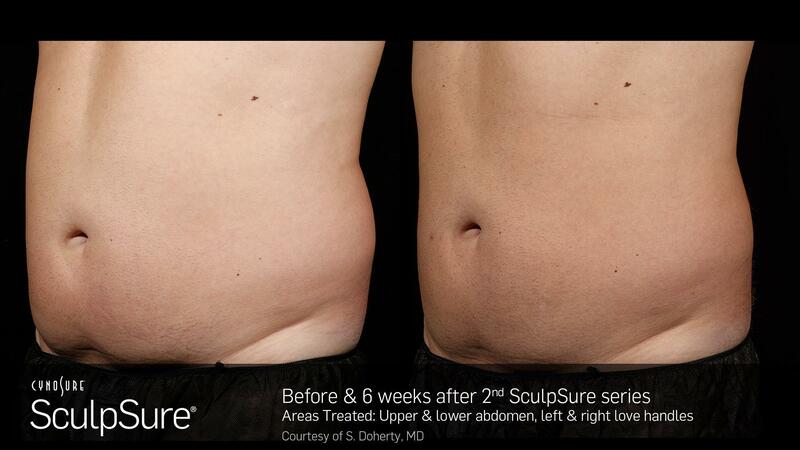 After the SculpSure treatment, targeted fat cells are permanently destroyed and will not return. When you put in the hard work to change your diet and exercise habits and finally achieve your target weight, stubborn fat on your belly or love handles sometimes remains. Fortunately, Sound Medical Weight Loss offers the revolutionary FDA Approved SculpSure® laser body contouring treatments to permanently remove fat from stubborn areas. 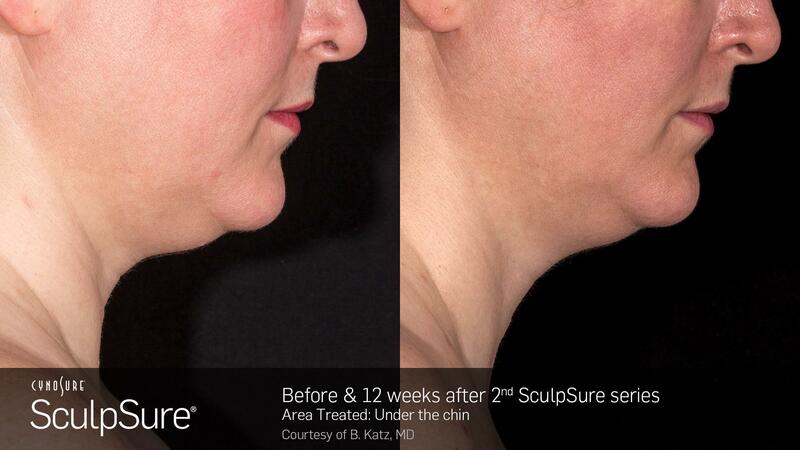 Call or schedule a consultation online today to find out if SculpSure is right for you.